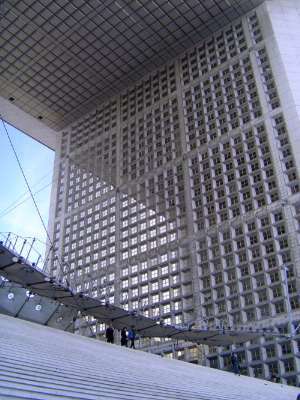 Still another of Mitterand's nine "grands projets," this one was conceived in 1982 as the International Communications Crossroads and was supposed to mark the 200th anniversary of the revolution. The architect was Johann von Spreckelsen of Denmark, who called for a "window to the world with a view into the future." The government eventually sold the building, which is now private.